I have been tinkering with computers since the dark old days of the Commodore Vic 20 and the Timex Sinclair. I’ve used Commodore’s old OS, MS DOS and derivatives, CP/M, BeOS, Apple DOS and Systems 1 through 9, OS/2, Linux / Unix, MacOS X, Windows from 3 through 8. Along the way, I’ve learned to write code in dBase / Foxbase, Pascal, C, C++, Machine code, several flavors of basic, CSS, HTML, and a few more. In fact, one of the reasons I quit the computer science track in college was due to the way it was evolving. It seemed as though as soon as I had one language down, another would come along and I was a novice all over again. I realized I would have to spend the remainder of my life in school just to keep up. Graphic design – Photoshop, Illustrator, QuarkXPress and the like seemed far more stable at the time. Their features were getting upgraded, sure, but the upgrades meant tweaking my knowledge base – not unlearning and relearning all over again. However, even with the admittedly great programs, I spent a lot of time recreating graphics and editing photos to create a better advertisement or promotion or website. A lot of work went into every product or project and a lot more editing followed. Many long, sleepless nights and a lot (I mean A LOT) of coffee was consumed. More than one gray hair was sprouted, and, on rare occasions, a discouraging word was, indeed, heard. There, about 10 years ago, something changed all of that for me. This wee little program written in PHP was released by 2 people I had never heard of… some Matt Mullenweg and Mike Little. That PHP was coupled with a bit of MySQL and WordPress was born. And even with all that, it’s still growing and there is still so much I can learn, and I know that there is a great, sharing community out there to help me learn those things. They’re on the Internet and at local meetups and WordCamps. It’s more than a program. It’s a community… a growing and evolving entity. 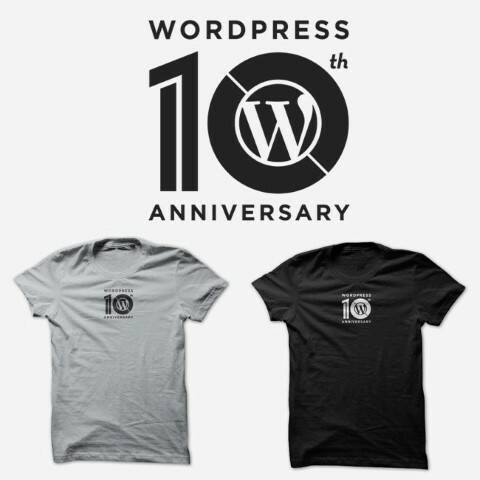 WordPress turns 10 this years. The fine folks over at WP Explorer are helping with the celebration!